UDAEF is excited to welcome Upper Darby High School Class of 2005 Alumnus, Brian McFadden, as one of our newest Board Members! While a student at UDHS, Brian participated in many extracurricular activities including Concert Choir, Encore Singers, dramas, musicals, and track & field. 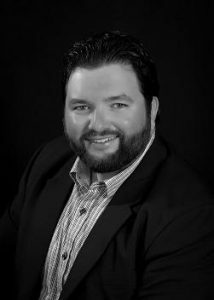 Brian went on to graduate from Saint Joseph’s University with a degree in Public Administration and minor concentrations in Political Science and Music. He recently completed his Master of Public Administration degree at Villanova University. Brian works for SEPTA in the Capital Budget & Grant Development Department where he is responsible forpreparing, maintaining, and monitoring federal, state, and local grants that fund capital improvement projects. Brian loves to sing and performs at numerous events throughout the Philadelphia area. Why Did Brian Get Involved with UDAEF? While a student in the Upper Darby School District, Brian was a beneficiary of the Upper Darby Arts & Education Foundation, which supported many of the activities he enjoyed. Brian now desires to pay back that same generosity by volunteering to help the Foundation enhance the educational experience for the next generation of UDSD students. Brian loved growing up in the UDSD, and the programs supported by the Foundation helped enrich his education and growth. Brian is bringing his grant writing skills to our dedicated UDAEF Board volunteers and is now Chair of the UDAEF Grants Committee! If you or your company have an interest in helping Brian and our Grants Committee in pursuing grants to grow the Foundation and the opportunities we bring to Upper Darby children — please contact UDAEF Executive Director, Jennifer Schoener at jschoener@udfoundation.org. 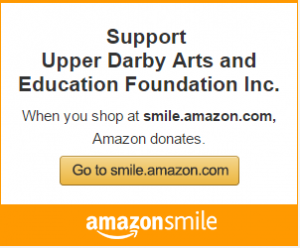 ← UDAEF Partners with Upper Darby/Lansdowne Rotary and Expands Community Outreach!